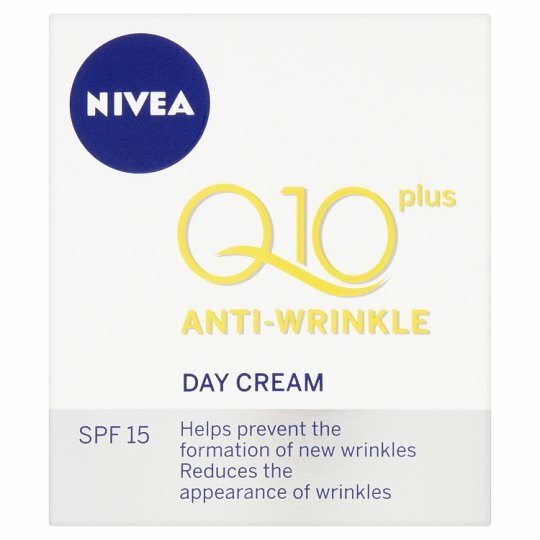 NIVEA® Q10 plus Anti-Wrinkle Day Cream with SPF 15 visibly reduces the appearance of wrinkles and helps to prevent the formation of new ones. 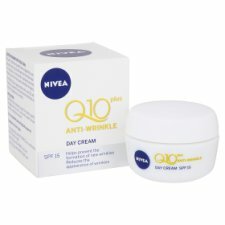 Apply daily after cleansing. Apply the cream by gently massaging into the skin, using small upward circular strokes, avoiding the eye area.